Charming cottage in the fantastic West Highland neighborhood. 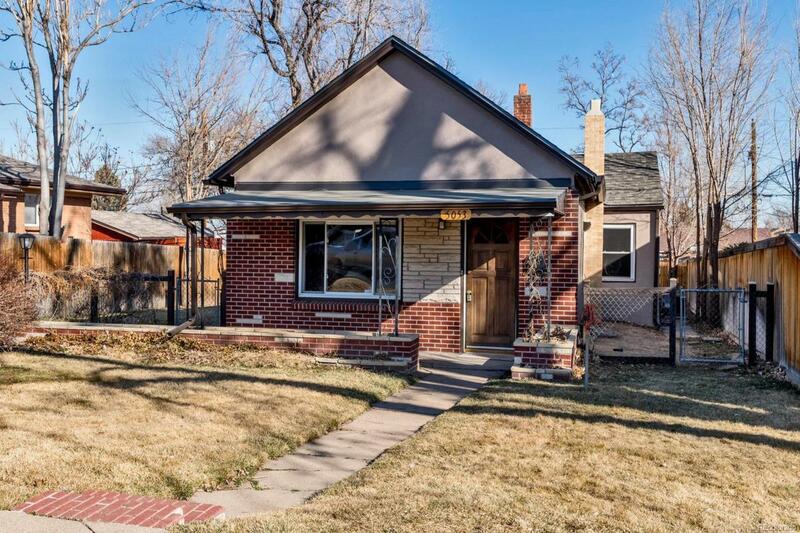 This two-bedroom, one-bath home has newly refinished hardwood floors, an updated kitchen, recessed lighting and is freshly painted inside and out. Situated on a 6,350-square-foot double lot, it is perfect for a farm-to-table veggie garden or relaxing on the front porch or back covered patio. Two-car garage means your cars will never be in a hail storm again. Enjoy all the excitement of living in one of Denver's coolest neighborhoods. Located blocks from the popular restaurants and shops of Tennyson Street, the Sprouts center and Sloan's Lake. Easy access to I-70 and the mountains. Fantastic income property or move-in ready with room to add your personal touches. Hurry!